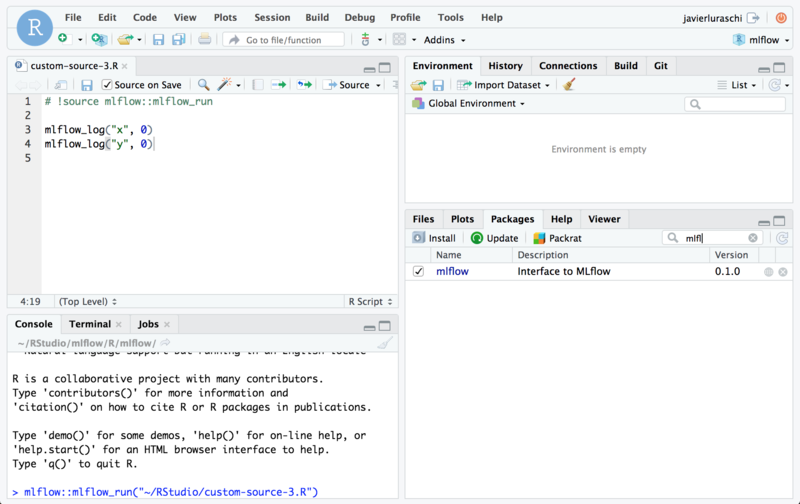 R interface to 'MLflow', open source platform for the complete machine learning life cycle, see < https://mlflow.org/>. This package supports installing 'MLflow', tracking experiments, creating and running projects, and saving and serving models. 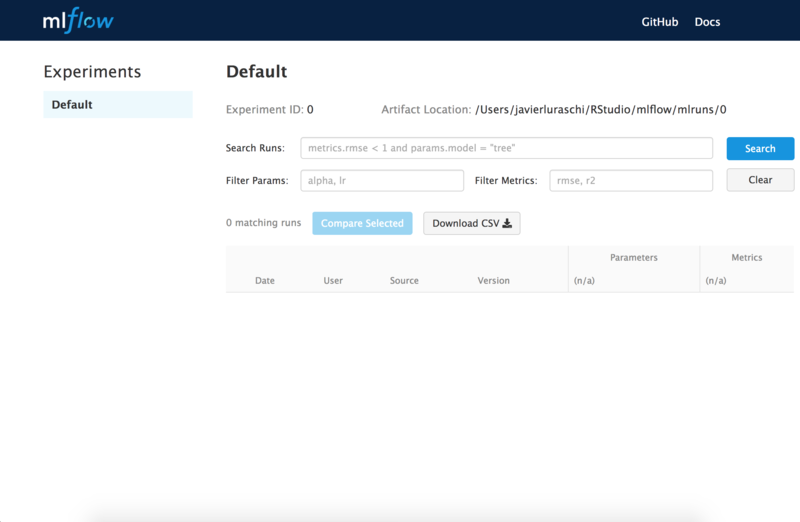 Install MLflow from R to track experiments locally. Connect to MLflow servers to share experiments with others. Use MLflow to export models that can be served locally and remotely. Notice also that Anaconda or Miniconda need to be manually installed. Then install the latest released mlflow runtime. MLflow Tracking allows you to logging parameters, code versions, metrics, and output files when running R code and for later visualizing the results. Once the tracking url is defined, the experiments will be stored and tracked in the specified server which others will also be able to access. An MLflow Project is a format for packaging data science code in a reusable and reproducible way. Run results that we can view with mlflow_ui(). 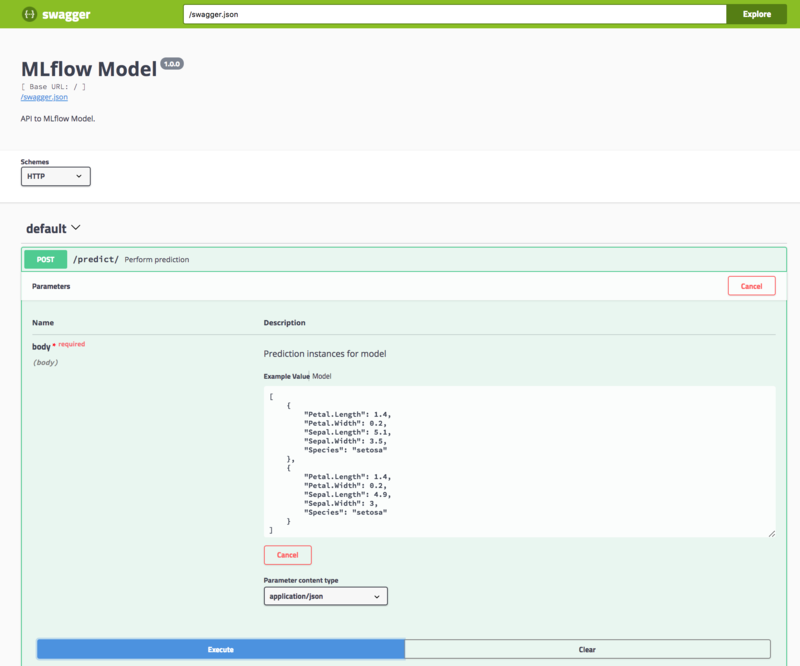 An MLflow Model is a standard format for packaging machine learning models that can be used in a variety of downstream tools—for example, real-time serving through a REST API or batch inference on Apache Spark. They provide a convention to save a model in different “flavors” that can be understood by different downstream tools. ## 'mlflow_restore_snapshot()' or setting the 'restore' parameter to 'TRUE'. MLflow provides tools for deployment on a local machine and several production environments. You can use these tools to easily apply your models in a production environment. When running a project, mlflow_snapshot() is automatically called to generate a r-dependencies.txt file which contains a list of required packages and versions. Notice that the MLFLOW_SNAPSHOT_CACHE environment variable can be set to a cache directory to improve the time required to restore dependencies. See the MLflow contribution guidelines.